You have put me in a deep pit, in darkness, in Honduras. Because that's what Honduras means: The Depths. It was, apparently, named after the adjacent sea, which is rather profound. Florida = Was discovered on Palm Sunday, which, in Spanish, is Pascua Florida or Flowering Easter. It's therefore named in almost exactly the same was as Easter Island. It's also cognate with Florence (blooming city), florid and floral. Also, the Florin was the coin of Florence, so called because it had a lily - the symbol of the city - stamped on one side. I am sad to report, though, that Quito does not mean removed. 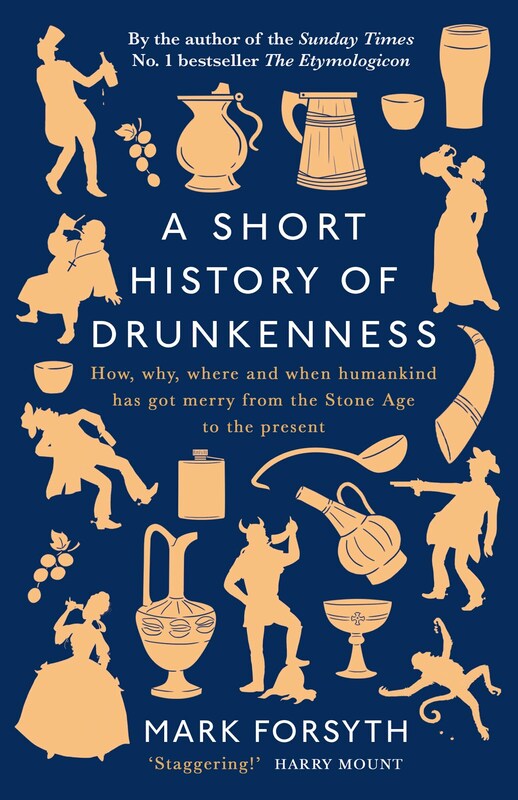 None of which has anything to do with this the historian Dan Snow, but I did do a long interview with him for his podcast about the new and wonderful book A Short History of Drunkenness. You can listen to it by clicking on this link. He's a lovely fellow, and very, very tall. I'm serious. I'm 6'2" and it takes quite a lot to make me feel like a midget, which is how I felt throughout. And, as Margaret Atwood says, it's "Highly suitable for Xmas!" So, with the next psalms, you had a "vaso de puerto rico"?